ABOUT US – Integrity Shirts! Since 2006 Integrity Shirts has been providing the New River Valley with unmatched service and attention to detail. We look forward to future relationships with our new customers and treasure the ones we already have. From start to finish, Integrity Shirts prints your order in-house right here behind the office. We take pride in the ability to control all the variables of the screen printing process. Don’t be surprised if you hear music mixed with the sweet sound of pneumatic equipment! 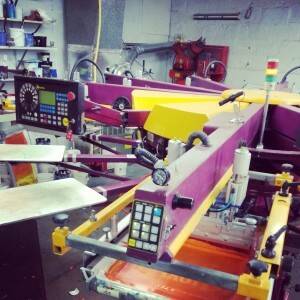 We are proud of our ability to provide the most personal service of any local screen printer. Have a question about inks? We can answer it. Have a weird idea that will push the envelope? We are ready for the challenge!